Et vous, why do you love France? Happy Bastille Day! La Mom's leaving on a short vacation to Bordeaux where she's sure to eat and drink very well. 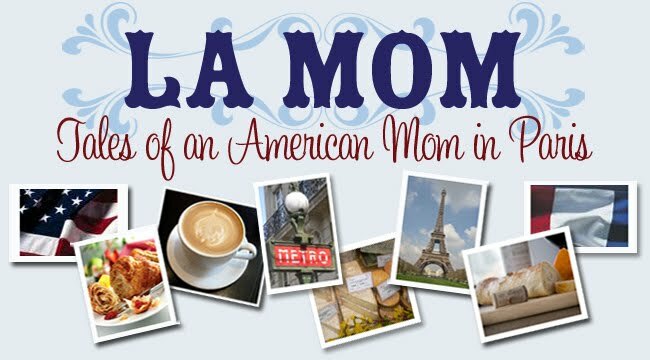 La Mom wants to give a big merci to Kimberly T. and her "nerd friend" for their email recommendation on how to to fix my Blogger comment bug. Her third recommendation to "blame it on Big Fry" was très cute! Happy Bastille Day. I've never been to Paris at this time of the year but I would love to see how it's celebrated. I am right there with you ... I love France aussi. * because the French are always so "graciously" grumpy when you try to speak French but fail miserably (in their eyes). * because they have so much tolerance for small children not being able to sit for three hours at the dinner table (NOT!). wish i was in Paris to celebrate with you. have a wonderful 14th and take care. This post made me really stop and think ~ why DO I love France? I can only speak to Paris, where I have visited several times, still wishing to make it to other areas of France. So, why do I love Paris might be a better question for me... I love the feeling I get when I think about being there *almost* as much as I love the feeling of actually being there. I think that is what it comes down to...a feeling I can't get anywhere else. Can you take me around when I finally get to Paris? I'm guessing about 10 years from now. • That you have not 2 or 3, but 4, 5 or 6 neighborhood boulangeries from which to choose your favorite pain aux raisins. Miam. Have a nice vacation, be sure to tell us all about it! I've been in France a few times and it is just dreamland to me! I don't speak french very well, but i've enjoyed being over every bit! !